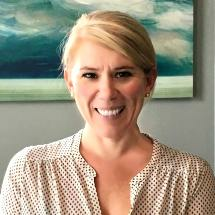 Marjorie is a dedicated and compassionate advocate with extensive experience in family law matters, including both property and child custody disputes, with a primary focus on complex marital property characterization and valuation issues. Board certified in Family Law by the Texas Board of Legal Specialization, she is a member of the State Bar of Texas Family Law Section, the American Bar Association Family Law Section, the Houston Bar Association Family Law Section, the Association for Women Attorneys and Burta Rhoades Raborn Inns of Court. Marjorie earned her bachelors degree in Political Science with an emphasis on Public Policy from the University of Houston in 2000. She received her J.D. from South Texas College of Law in May 2007 and was admitted to the State Bar of Texas in November 2007. During law school she interned in the Harris County District Attorney’s Family Criminal Law Division and the Family Litigation Unit of Lone Star Legal Aid. Additionally, she became a certified mediator through the Frank Evans Center for Conflict Resolution.